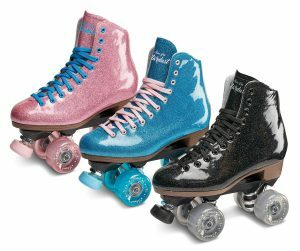 Sure-Grip has a new skate coming out called the Stardust. 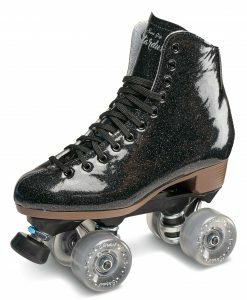 These skates have a vinyl glitter boot with a wood composite sole that really looks interesting. The plates are the Sure-Grip Rock. 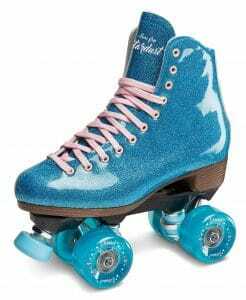 The wheels are 62mm indoor/outdoor wheels with ABEC3 bearings. Blue – in stock now – sizes 3-9. 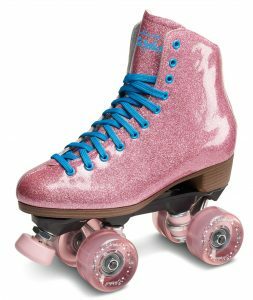 Pink – ETA of late June – sizes 3-9. Black – ETA of late June – sizes 4-11.